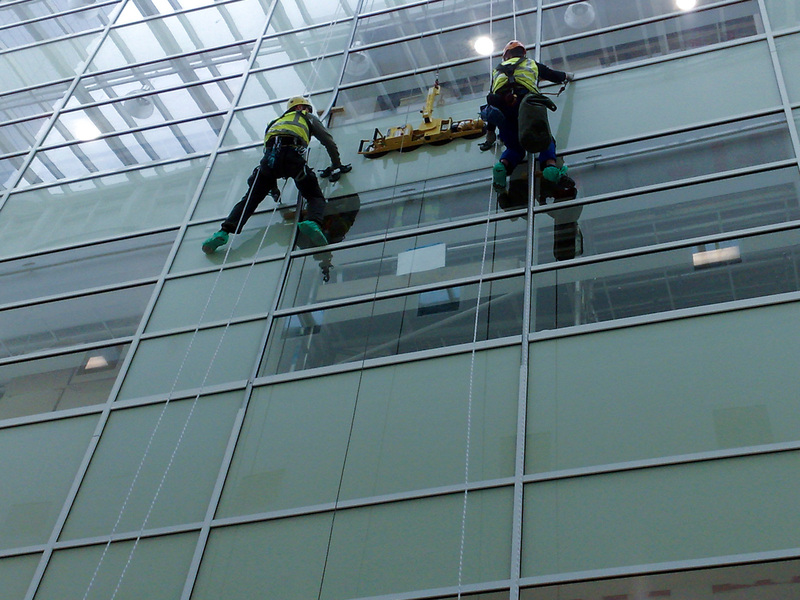 City Abseiling Ltd offers a wide range of services at heights for industrial and commercial clients. Glass Scratch Removal / Polishing. The required maintenance work via Rope-Access. We offer solutions for safe systems of access and safe systems of work for new build and old facilities. We colaborate with architects and structural engineers for the design of the access systems and we provide the required Health & Safety documentation for use and maintenance.